I was diagnosed with thyroid cancer in 2008 when I was just 28. The doctors could give me no reason why I had developed it. I’d spent most of the previous decade barely picking up a paint brush. I’m not sure if those two things are related. Probably not. I mean, that would be a pretty extreme reaction to not painting! But I do know that in Eastern medicine the thyroid, as part of the 5th energy chakra of the body, is the seat of self-expression, and so problems there are seen to stem from someone not expressing themselves fully. Fortunately thyroid cancer is considered a ‘good’ cancer to get. It’s very treatable, without the need for chemotherapy, and it’s rarely terminal if caught early. And mine was caught very early. But, as you can imagine, it was a shock and it took some coming to terms with, and almost 5 years to fully recover from. I had only just started working as an artist at the time I was diagnosed. So I had no in-work benefits to fall back on and didn’t really have a choice but to continue to paint whilst I received treatment and recovered. But, looking back, I can see there may have actually been a positive to this. When I was painting, which I did almost every day, for many hours, I was totally absorbed, and I was CREATING. It felt good. And I wasn’t worrying about or dwelling on the illness. The creative process, in itself, is part of our natural process of maintaining health and wellbeing. When we find a place and time to play – with paint, clay, movement, sound,- and when we have silenced the voices that tell us we can’t paint, or dance, or should be doing something ‘useful’; then the process becomes therapeutic, perhaps soothing, cathartic, expressive, absorbing, releasing, surprising, extraordinary, transformative. The free flow of creativity in whatever form, is inherent in all of us, and once rediscovered can be a powerful resource. And it’s also clear that regularly being creative is emotionally really positive, combatting the negative effects of stress on the body, and helping to keep people healthy. For many people, a cancer diagnosis, or other serious illness, can force them to take stock of their lives, and how they are using their most precious of commodities – their time on the planet. So, whilst I don’t want to imply that getting cancer is a good thing – surviving a life-threatening illness can often be the thing that finally allows people to give themselves the permission to spend time on themselves, and on honouring the creative part of themselves. And to feel gratitude for the parts of our bodies that are working well (brains, eyes and hands if we’re lucky enough to be able to paint!). I know this is an emotional subject, but it’s one that affects so many of us so I thought I would share a little of my own story. I don’t know many people who haven’t been personally touched by cancer or serious illness. It’s a fact of life. So I’d love to know if illness has spurred you, or a loved one, on to paint? Please do let me know in the comments. And if you’re lucky enough not to have been affected in this way, I hope this helps to motivate you to keep painting if it’s something you enjoy. Because painting IS useful; it’s good for your health! Many thanks for sharing this Anna – I hadn’t realised that you had been suffering with the big C. That was probably around the time that my family bought our beautiful pictures from you, and we would never have guessed that you were ill.
My mother was diagnosed with Cancer in January of this year, thankfully she appears to now be completely recovered – perhaps she should take up painting, she’s always been pretty creative! Thanks for sharing your story Anna. Thats never easy to do. I finally started painting at 71 years old and have been at it 3 years now. It keeps me going and it’s really never is to late to start. I love your style of painting. Everyone says I need to paint loose but thats just not my way so it’s great to see paintings like yours and realize I’m going about it ok.
Last year I took early retirement mainly due to health issues. I have had Chronic Fatigue Immune System Disorder and Fibromyalgia for 25 years. I could fight through it until recently. Now the effects are too great to push any more. I started painting and found your website and school. While painting I have no pain! It is destressing and detoxing my body and mind. I am thankful to God for leading me in this direction. Yes me too! !, found my cancer the night before my dad died 2011. It was truly “annus horibilis!” My father had been terribly ill for two years, my daughter was diagnosed with type 1 diabetes feb 2011, my partner diagnosed with parkinsons 2008. Actually the night I spent in hospital having the lump removed felt like a night off!!! Getting over the stress and exhaustion took a while. When eventually recovered enough I came back to painting, having not touched it for 10 years. I had used oils, and used to paint large and wild! But became allergic to the paint. Always meant to try watercolour but such a difference from oils was hard. I have found your method and results very useful to build up my confidence., never thought I would have patience for botanical work. But as you say find therapy in the absorption of it all. Now I seem to be writing an essay so will stop. Many thanks and best wishes to you. I really admire your approach, it is an inspiration. What a lovely dimension you have added to your school. Somehow its more human and warm. Some things that are horribly difficult really are inspiration in disguise. Your art and creation of this course are pretty spectacular results. Well, I’m in good company here ! I was diagnosed with cancer in 2011 and have had extensive treatment to cure me since then. I look upon having cancer as a seismic change to my life as I take nothing for granted and now more fulfilled than I’ve ever been. A major contributing factor is that I’ve taken up art post a 30 odd year hiatus since school. I’ve been lucky to take early retirement and am now studying for an art degree. I’m just loving doing art. I know I’ve already replied to you Anna, but wanted to join in here too! Having had ovarian cancer in 2010, I know what it’s like to be scared, and learn to live and not worry about work etc and all the day to day stuff. I’ve just picked up the watercolour pencils for the first time, and would love to produce anything that I feel proud of! Your website and amazing watercolour studies are stunning. I’ve just purchased your book ‘The Modern Flower Painter’ which is inspirational. Thanks for all the interesting stuff you make time for to put on your website, I completely agree in the principle of absorbing the mind. Thank you! So pleased you are getting into painting Lucinda! I had a severe depression and anxiety attack 3 years ago, not the first unfortunately. I could not think further than 5 minutes ahead, I couldn’t see any way forward. A friend introduced me to Watercolour painting. The 2 hour lesson just flew by and I concentrated on painting and nothing else. It helped to calm me and I still enjoy the weekly lesson. I still have a long way to go in my recovery, but painting has given me confidence to socialise and feel more self confident. The reason your are so successful and this site have great appeal and value is the “human” aspect of an artist’s life. The insights and little extras offered make painting successful and connected! Thank you! Have a great Christmas yourself Charles! 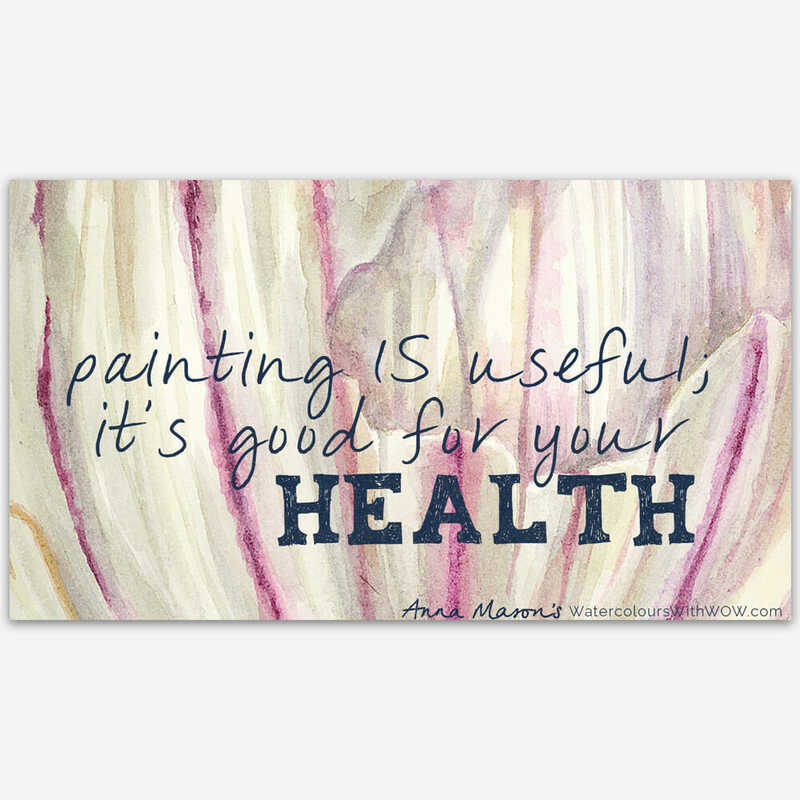 Anna, you are so right about the healing and therapeutic benefits of painting. 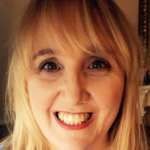 I went through a traumatic experience, within the space of 14 months I suffered a very nasty experience with carbon monoxide poisoning (along with a bad burn up my shin – same accident), diagnosis of ovarian cancer & chemotherapy and then moving country. I had planned for 15 years to take up painting as a hobby but it was only after that lot that I felt I “deserved” to indulge myself. The painting served to take me away from myself and to make me enjoy something purely for pleasures sake. Now 9 years later, we’ve just moved house again and all my paints are stored away – I’m itching to paint. Good thing really as I felt I’d got a bit stale before moving. When I finally get my paints out again I can look on it as yet another new start. Good to hear you are over the cancer, it’s the most terrifying diagnosis. Sorry to hear about your experience Vivienne – however, if it got you to feel you were deserving of some creative ‘me-time’ then that’s all for the good. I hope you get to paint lots in 2015. Thanks Anna – you are too young to have had a cancer diagnosis. I’ve discovered there’s really no “why” so I gave up trying to find someone to blame, including me. It just is. I paint and teach watercolor paint. And I’m an ovarian cancer survivor since May of this year. I too lose myself in the creative process and it’s so nice to take a vacation from the circling buzzards of thought. Thanks for your transparency – it matches your media of choice! Love that ‘circling buzzards of thought’ – it does feel like that sometimes doesn’t it! Delighted to hear you’re a survivor and that you clearly find lots of time to paint Deb. Really interesting Marilyn, that sounds like great work you’re involved with. Anna, I am yet another who had, and still has the big C. For me it was life changing. I had spent the last 22 years of my life as an accountant, and all my working life in an office. I always wanted to paint and draw, very jealous of my friends who went to art college in the early 70’s, and had dabbled on and off with various courses. I was diagnosed with terminal lung cancer in 2007, and was forced into early retirement. Painting and drawing have become my life. I paint and draw every day. My life changed dramatically, but I am so happy. Good diet, exercise the body daily and exercise your mind, and you can overcome anything. I exercise my mind by painting and drawing, and wish I had taken this pathway years ago. I would have been poorer in the pocket, but overflowing in the richness of life. So inspiring, thank Kate. And how wonderful that you have found your time to draw & paint. I am impressed with your positive attitude and also that of all the people who have replied to this post. I too am lucky enough to have survived cancer, and I also believe art to be very healing. Since I read Eckhart Tolle’s Power of Now, I am aware how better it feels to focus on what you are doing, rather than follow the constant stream of chatter in my head. Art allows you to totally focus on the present moment. It is the process that is important, less so the finished piece; but if you can produce anything – a drawing or painting or any other form of art – that gives someone else pleasure, however fleeting, then its value is priceless. Couldn’t agree more Alex – and I love Eckhart Tolle’s teachings, they’ve had a huge impact on me. Thanks for your comment. Thank you for sharing something so intimate as your fight with the big C. Glad it worked out for you. 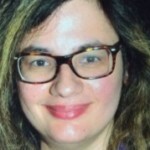 I have had a mastectomy for breast cancer and am left with lymphoma. My daughter has had two thirteen hour operations for mouth cancer, and now cannot eat. But has to be fed through a tube attached to her tummy. But painting saved my sanity. I can disappear for a wee while into a quiet and comforting time, just for me. Thanks for sharing June – so pleased painting has been of comfort. I also had Thyroid cancer 13 years ago and now I have Cancer in the Uterus. After working for 31 years, I always promised myself I would paint when I retired. Well, I retired one year ago and I am so glad I joined your School a few months ago. Painting has really helped me through the past 2 months of tests and now I have some ‘projects’ to keep me busy when I am in recovery. I just love to ‘loose myself when I am painting’. Wishing you and all School Members a very joyful and happy Christmas. I started painting in the early seventies and over the years starting and stopping. Raising four kids took top priority. I have always been a caretaker. Taking care of my husband after heart attacks, helping my mother care for her husband with Alzheimer’s until he died, later caring for my mother until she died, and helping raise a couple of grandchildren a long the way. 2009 my husband was diagnosed with Alzheimer’s and 2012 I was diagnosed with breast cancer. I had a bilateral mastectomy that July. It was devastating. I’ve suffered depression, after all I lost part of my body. My husband is a one day at a time illness. Our lives have changed drastically. My doctor said firmly that it was way past time for me to take care of myself or else. My neighbor told me about a painting group that meets every Thursday. I started going about six weeks ago and I have taken up trying to watercolor. I am in a group of people that love to help teach me and all love to laugh. It doesn’t get any better than painting and laughing. This is saving my life. Hi Anna. I was about half-way through my shiny shell painting in August when I suffered a stroke – couldn’t hold a brush – and although I slowly recovered from that, further tests revealed that I had kidney cancer. I had an operation to remove that kidney on 1st Dec. and am currently recovering quite well and look forward to getting back to my painting in the next week or so – at least before Christmas. I have been very fortunate and am pleased to have such a wonderful occupation to come back to. Thanks for sharing how art has helped you. I was so excited to see someone paint in a realistic style and who loves roses. We have much in common. I can’t wait for your class. I had no idea about you having had Cancer. I am so pleased you have fully recovered. Art is a wonderuful way to release the spirit and very calming. I use painting as part of ‘relaxing time’ to cope with my illness. I have a thyroid problem ! and another illness that puts me in chronic pain 24/7. For many years I did not pick up a paint brush simply because I was never satisfied with any of the results of my work and thought it pointless. Then one day feeling quite poorly and sorry for myself , I got out my paint box, my lovely brushes and some gorgeous Indian rag paper a dear friend sent me for Christmas. Just to FEEL of those delightful art materials gave me a great lift and before I knew it, I had painted several pictures. Nothing fantastic but bright with colour and lively studies of my garden. Immediately following this burst of art work, I began to medically improve and never looked back. Painting gives me an extraordinary feeling of goodness and excitement (like when I open a new book) the anticipation of filling the blank rag paper with colour sends a healing thrill through me and I feel much better. I believe it healed you too. I love the look and feel of a good brush, a sheet of good watercolour paper and a tin palet full of colourful pans, then to create something with these little luxuries, makes me feel re charged and at peace with myself. I didn’t knew all of these Anna and i am sad that i read these .I hope always God protect you really!! !You are great artist.I know how you felt because of my work .I work in a hospital and because of my work i try to help people every day .I see people every day with cancer suffering so i understand how you felt.I hope God always protect you really !!! !